Malala Yousafzai is a Pakistani school pupil and spokesperson for women’s right to education. In retaliation for her high profile campaign for education and criticism of the Taliban, she was shot in the head at close range by a Taliban gunman. She survived the gunshot wound and has become a leading spokesperson for human rights, education and women’s rights. She has received numerous peace awards and was awarded the Nobel Peace Prize in 2014 along with Kailash Satyarthi, an Indian children’s rights activist. Malala was born (12 July 1997) in Mingora, the Swat District of north-west Pakistan to a Sunni Muslim family. She was named Malala, which means ‘grief-stricken’ after a famous female Pashtun poet and warrior from Afghanistan. During this period, the Taliban’s military hold on the area intensified. 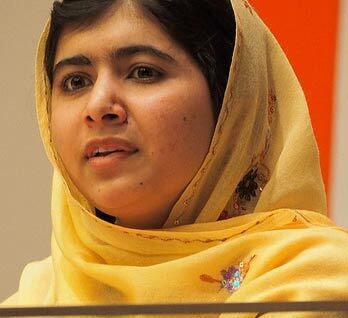 At times, Malala reported hearing artillery from the advancing Taliban forces. As the Taliban took control of the area, they issued edicts banning television, banning music, and banning women from going shopping and limiting women’s education. Many girls schools were blown up and as a consequence pupils stayed at home, scared of possible reprisals from the Taliban. However, for a time, there was a brief respite when the Taliban stated girls could receive primary education if they wore Burkhas. But, a climate of fear prevailed, and Malala and her father began to receive death threats for their outspoken views. As a consequence, Malala and her father began to fear for their safety. Her father once considered moving Malala outside of Swat to a boarding school, but Malala didn’t want to leave. After the BBC blog had ended, Malala featured in a documentary made by New York Times reporter Adam B.Ellick. She also received greater international coverage, and her identity about writing the BBC blog was revealed. In 2011, she received Pakistan’s first National Youth Peace Prize, and she was nominated by Archbishop Desmond Tutu for the International Children’s Peace Prize. Her increased profile and strident criticism of the Taliban caused Taliban leaders to meet, and in 2012, they voted to kill her. Malala was identified and she was shot with a single bullet which went through her head, neck and shoulder. Two other girls were also injured, though not as badly as Malala. 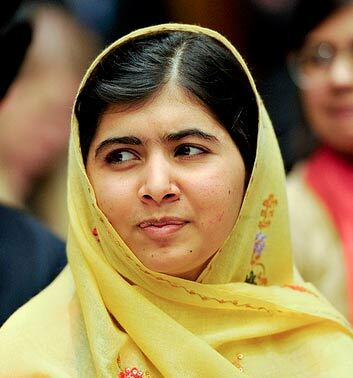 Malala survived the initial shooting but was in a critical condition. Her father was convinced she would die and told the village to prepare for her funeral. Her critical organs were failing, and she developed an infection. In a coma, she was moved to a hospital in Rawalpindi. Later on the 15 October, she was transferred to Birmingham in the United Kingdom for further treatment at a specialist hospital for treating military injuries. A couple of days later, she came out of a coma and responded well to treatment. She was discharged on January 3, 2013, and moved with her family to a temporary home in the West Midlands. Writing in her book “I am Malala” she writes. She also writes about her lack of bitterness or desire for revenge. Her assassination received worldwide condemnation and protests across Pakistan. Over two million people signed the Right to Education campaign. The petition helped the ratification of Pakistan’s first right to education bill in Pakistan. Ehsanullah Ehsan, chief spokesman for the Pakistani Taliban, claimed responsibility for the attack, saying that Yousafzai was a symbol of the infidels and obscenity. However, other Islamic clerics in Pakistan issued a fatwa against the Taliban leaders and said there was no religious justification for shooting a schoolgirl. We call on international organisations to ensure the world’s 61 million out-of-school children are in education by the end of 2015. On 12 July 2013, she spoke at the United Nations to a group of 500 youths calling for worldwide access to education. Her global fame and admiration in the West have caused something of a backlash in Pakistan. 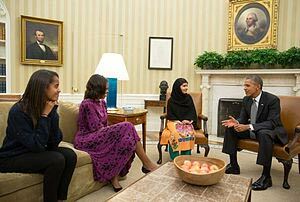 Many in Pakistan fear the West’s support of Malala is hypocritical given the US drone strikes in Pakistan and Afghanistan. Also, her plight highlights the unchecked militancy of the Taliban, which is a problem for Pakistan. Some in Pakistan fear Malala is promoting a Western agenda. However, on her part, Malala is dismayed by conspiracy theories in her own country and is keen to portray her native Pakistan in a good light. Her BBC blog expresses such a sentiment. Since 2013, she has studied at Edgbaston High School in Birmingham. 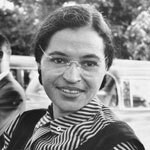 She has continued to be a prominent activist based with her family living in Birmingham. 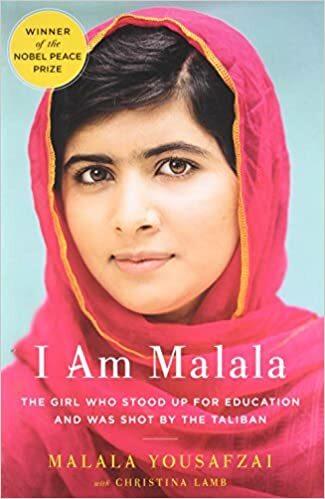 In 2015, a documentary about Yousafzai was shortlisted for the Oscars ‘He Named Me Malala.’ In 2017, she began studying PPE at Lady Margaret Hall, Oxford University. “Despite her youth, Malala Yousafzai has already fought for several years for the right of girls to education and has shown by example that children and young people, too, can contribute to improving their own situations. Citation: Pettinger, Tejvan. “Biography of Malala”, Oxford, UK. www.biographyonline.net. First published 18/10/2013. Updated 22nd February 2018.